A new mural by street artist Shaun Oakley is now a striking feature of the uMhlanga Promenade this festive season, thanks to the collective efforts of Tsogo Sun, the eThekwini Municipality, Urban Love and the uMhlanga Urban Improvement Precinct (UIP). In November this year, when it was clear the construction of the new lifeguard tower would not be completed in time for the festive season, the uMhlanga UIP investigated ways of making the wooden construction boards around the site look more appealing for the festive season, and an artwork seemed the best option. With the positive effect the giraffe mural on Lagoon Drive had on uMhlanga Rocks, the UIP asked Urban Love, the art group who installed the mural, to work with it on the construction hoarding project. 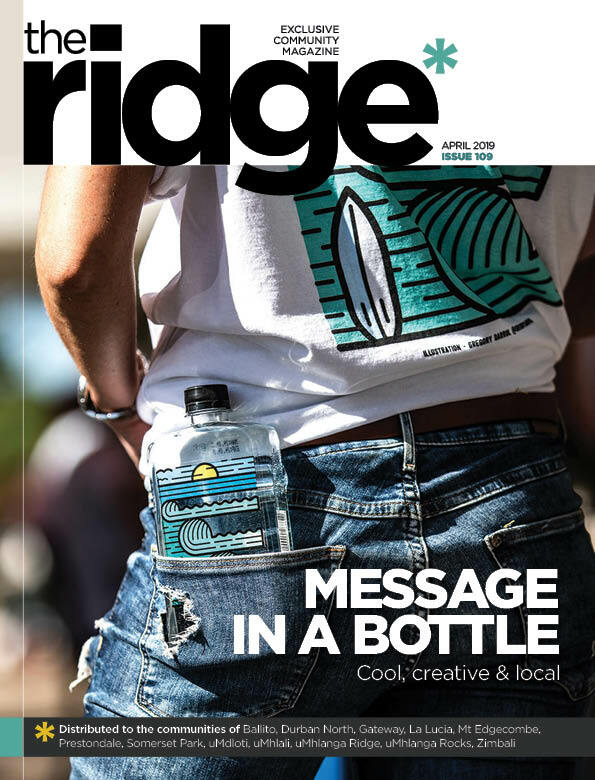 “We were so excited to be asked to work on this project, not only for the story it tells on the promenade, but because of the opportunity to bring street art of such a high level into uMhlanga Rocks,” said Urban Love’s Warrick Shannon. With Urban Love firmly on board, the UIP approached Tsogo Sun to sponsor the mural and they agreed without hesitation. The UIP is extremely grateful for their willing support. For this project, Urban Love brought on board Durban street artist Shaun Oakley, who for the last 12 years has been painting murals and commissioned walls across the city. 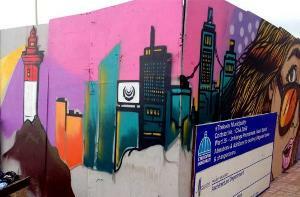 Most recently, Shaun was one of 10 artists commissioned by the eThekwini Municipality to participate in the Box Project, where electrical substations around the city were turned into colourful street art “boxes” that enhanced the aesthetics of the bland but necessary pieces of urban infrastructure. This project coincided with the International Union of Architects conference that took place in the city in August 2014. With a degree in Brand Communication from Vega, Shaun has also worked on projects for 5FM, Converse, Sports Scene, PEG, Stroh Rum and Lucozade to name a few. The theme of the Promenade Mural was guided by Tsogo Sun’s new promotional video “When love takes over” as well as the local context of uMhlanga Rocks. Staying true to Shaun’s typeset style, the mural also includes wording and alludes to the old uMhlanga surfing term “uMhlanga Rox”. The cemetery surfboard fish and the uMhlanga pier were also included to cement the local context. Tsogo Sun were incredibly flexible in terms of allowing Shaun to express their brand essence in an appropriate way without cluttering the mural with logos and obvious branding. “The focus for the UIP and uMhlanga Rocks in the New Year will be on defining the uMhlanga Rocks brand and driving home this node as a top destination in Durban. Projects such as this help set uMhlanga Rocks apart and we are so grateful that Tsogo Sun agreed to work with us and in such an easy manner, on this small but pioneering project,” said Cara Reilly, head of the UIP Marketing and Communications. “Public space aesthetics is as important as cleanliness and security in well-managed urban places and we thank the Municipality and the Architectural Services team working on the lifeguard tower for their support in allowing us to bring this space to life,” said uMhlanga Urban Improvement Precinct (UIP) project leader Brian Wright.